The times are changing and by all appearances, raids by authorities against criminal establishments represent a significant portion of this change. After many decades of alleged crime and secrecy, it seems that numerous establishments—from news agencies to government offices, corporations, and now mega-banks—are becoming particularly interesting to national law-enforcement agencies. This sudden, multifaceted investigation and disclosure taking place in multiple countries appears to be coordinated to a significant extent. It is as though numerous authorities from developed countries have been waiting for a long while to execute these investigations, yet it is only now that they are able to do so. It seems that some large-scale release from clandestine control has been achieved in multiple countries simultaneously, and this has left the formerly secretive establishments such as banks, corporations, and various facets of government office vulnerable to the watchful eye of authorities. We have seen similar raids as those recently executed on Deutsche Bank taking place within the United States as well as in Australia within various news organizations such as Newsweek (Manhattan, NY) and ABC Australia. These raids have also been executed to crack down on the epidemic of human trafficking and pedophilia within the international black market. Early on, these gross violations of human rights were found to be taking place at such large scales that the task of ending them may have seemed impossible. However, thanks to the direct action of President Trump and a number of national and international military/law enforcement, these issues of human trafficking have been progressively minimized. Multiple reports have recently come forward about the clear connection between Deutsche Bank and the notorious case of the Panama papers. According to research, the German megabank may have assisted tax evaders in their efforts to conceal their financial transactions through Panamanian offshore accounts. We might remember the scandal that erupted back in 2016 surrounding Hillary Clinton and her connection to the Panama banking situation. Even though Clinton denounced the use of these offshore accounts as being "outrageous tax havens and loopholes that super-rich people across the world are exploiting," it was later found that she and her husband were closely linked with several wealthy interests who used these Panamanian accounts, and that the Clintons were even receiving donations from these tax evaders on a regular basis. It was this situation which erupted into the scandal we saw unfolding months later. Yet, what made this scandal even more serious was the number of suspicious occurrences that followed. This included at least one journalist who was mysteriously killed by a car bomb after spearheading the Panama paper story (one of several deaths which allowed the Clintons to escape from further investigation). This and many other suspicious events represent only a small portion of the long list of deaths which typically follow any investigation into what is now known as the Clinton Mafia. What is particularly interesting about the timing of these banking investigations is that less than two weeks prior to this raid, the infamous Rothschild family announced their retirement from the trust business. In other words, the well-known financial establishment, Rothschild & Co reportedly sold its business as part of an acquisition by another financial institution. According to journalist, Benjamin Fulford, this acquisition telegraphs a number of positive changes within the financial world. Evidence of these changes can be seen in the recent arrests of several Goldman Sachs bankers along with the predicted implication of the Clintons and their connection to these scandals. It is also expected that the Obamas, the Saudi Royal Family, and eventually, the Rothschild family will be publicly named and investigated as part of the ongoing crackdown on corruption. If what we are seeing in the sudden ability of global authorities to raid and investigate certain financial institutions is accurate, this could suggest a connection between the Rothschild retirement and the freedom of authorities to now execute justice upon formerly untouchable megabanks. These various instances of substantial progress toward justice are each happening simultaneously, reportedly because they are each, at some level, associated with one another. According to research, the financial institutions of the world, the corporate entities supported (and owned) by these institutions, the governments that create policies to the advantage of the corporate world, and the media that deceptively sells these institutions as benevolent businesses are all connected at the fundamental level. In reality, each of these facets of the establishment is reported corrupt to their core. These parties participate in and approve of countless policies and business practices which make life extremely difficult for the general population and due to the long-standing compromise of various offices of government by these corporations, the people have been made to pay the highest price for the sake of the superficial gain of a few billionaires. All the while, the banks along with the elitists that run them have been in control of it all. It is for these reasons that so much time has gone by where these financial entities have been untouchable by law enforcement. Initially, if fraud, money laundering, or extortion of any kind were committed, the close connection these entities have had with various governments has made these banks largely immune to the legal consequences of their actions. Yet now—either by some strange coincidence or by deliberate design—the banks are beginning to face the consequences of their decades of crime and secrecy. According to sources, the international Alliance that has been busily busting crime syndicates is behind these recent actions against the banks. It is unclear how far these actions may go in cleaning up the overwhelming amount of corruption on the planet. However, we may rest assured that regardless of how the situation may appear at present, conditions for our world are rapidly and visibly improving. 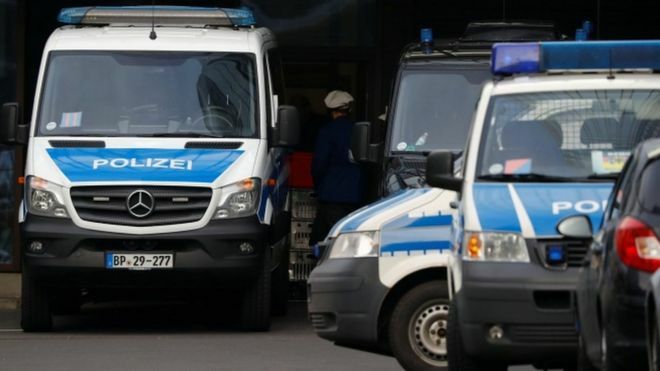 Five other Deutsche offices in the city were searched in an operation involving about 170 police and officials. 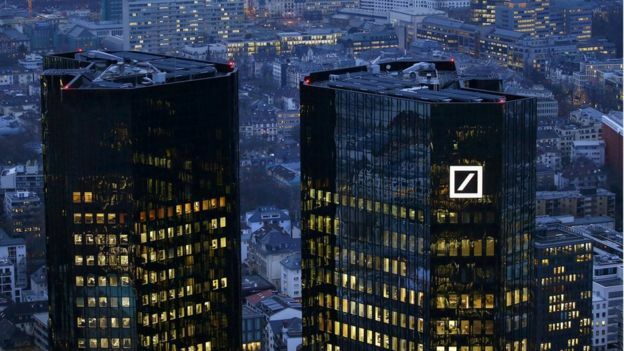 Prosecutors are looking into whether Deutsche Bank staff helped clients set up offshore accounts to "transfer money from criminal activities". The investigation, which began in August, focuses on activities between 2013 and the start of 2018. In 2016 alone, more than 900 customers were served by a Deutsche Bank subsidiary registered in the British Virgin Islands, generating a volume of €311m, the prosecutors allege. The investigation was sparked by revelations in the 2016 "Panama Papers" - an enormous amount of information leaked from a Panamanian law firm called Mossack Fonseca. Other banks have been fined as a result of information contained in the Panama Papers. Deutsche shares fell 3% after news of the raid emerged. The bank confirmed that police had raided several locations in Germany and that it was co-operating fully with the probe. Paperwork and electronic documents were seized by officials during the raids on the bank's properties. 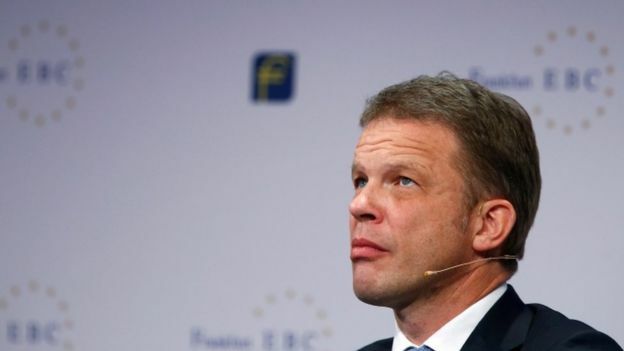 Deutsche has been connected with another huge money laundering scandal at Denmark's Danske Bank. Earlier this month, Deutsche confirmed that it was involved in processing payments for the Danish bank in Estonia. An internal investigation by Danske found that about €200bn (£177bn) of payments were funnelled through its Estonian branch. The Danish bank said many of those payments were suspicious. Deutsche said it had terminated its relationship with Danske in 2015 after "identifying suspicious activity". In September, Germany's financial regulator ordered the bank to take further action to prevent money laundering and terrorism financing. It also appointed an independent auditor to monitor Deutsche Bank's efforts over three years.